Ford To Accept Bookings For Freestyle Online. Excited for the Ford Freestyle? Want to be on of the first ones to grab Ford’s take on the cross hatchback? Ford and Amazon have partnered to fulfill that exact desire. Beginning 2:00PM on April 14, 2018, you can book any of the four variants of the new ‘CUV’ (compact utility vehicle) on an exclusive Amazon.in web page or on its mobile app. The booking amount of Rs 10,000 can be paid using any payment method accepted by Amazon.in. The bookings will be open till 1:59PM on April 15, 2018 and only 100 units of the Freestyle are up for grabs in that period. To make the deal even sweeter, Ford promises to deliver these 100 units on priority to customers. “The Ford Freestyle has been designed for young, progressive, independent & free-spirited customers who love to stay connected. From everyday things to high-value purchases like mobile phones, they are buying everything online,” said Rahul Gautam, vice president of marketing at Ford India. “Through this partnership with Amazon, Ford is bringing an exclusive opportunity for such customers to own India’s first compact utility vehicle, the Ford Freestyle, from the convenience of their homes, offices or wherever they may be,” he added. 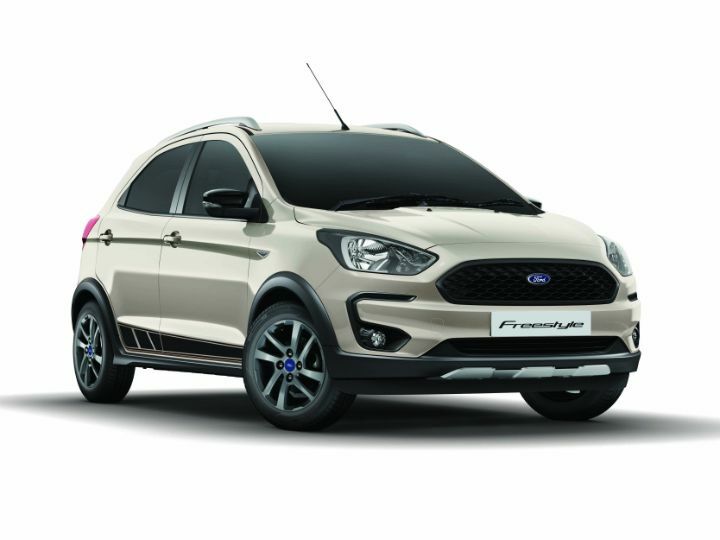 The Ford Freestyle promises to be more than just the Figo hatchback with a tough-looking body cladding. Ford hopes an exciting design inside-out, innovative features, enhanced on/off-road prowess, first-in-segment safety features and powerful but efficient engines will set the Freestyle apart.